DR. JOSÉ LUIS GARCÍA PANEQUE: It all really started on March 18, 2003. FIDEL SUÁREZ CRUZ: I was driven to my home by three members of the National Revolutionary Police. NORMANDO HERNÁNDEZ: I was giving my daughter a popsicle. She was turning a year old in three days. I was giving her the popsicle when my neighbor came out screaming, "Normandito, run, run, the state police are here." REGIS IGLESIAS RAMIREZ: Our taxi was surrounded in a police operation, and we were detained in the middle of the road. FIDEL SUÁREZ CRUZ: They nearly broke my legs during the search. They frisk you for no other reason than to handcuff you. They nearly broke my legs during the search. Dr. JOSÉ LUIS GARCÍA PANEQUE: The judge requested twenty years and I was condemned to twenty-four years. And my life as a prisoner starts. This is when my passage through hell starts. NARRATOR: My name is Carlos Gutierrez. 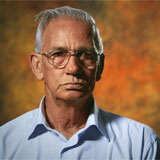 I was born in Cuba and immigrated to the United States with my family in 1960, when I was 6 years old. The 75 were sentenced to decades in prison for their nonviolent opposition to the communist Castro regime. BLANCA REYES, WIFE OF DISSIDENT RAUL RIVERO: (IN SPANISH) He did not have grenades, he did not have subversive literature; what he did was write alternate journalism than that of the state. His only crime was to write. Nothing else. NARRATOR: It would become one of the largest political crackdowns in Cuba since the communist-led revolution of 1959. ARIEL SIGLER AMAYA: They wanted to eliminate the internal counter-revolution that was forming in Cuba, so they decided to incarcerate these 75 people simply because they exercised free thought and declared their rights. NARRATOR: The 74 men and 1 woman arrested during the Black Spring were sentenced to up to 28 years in prison. 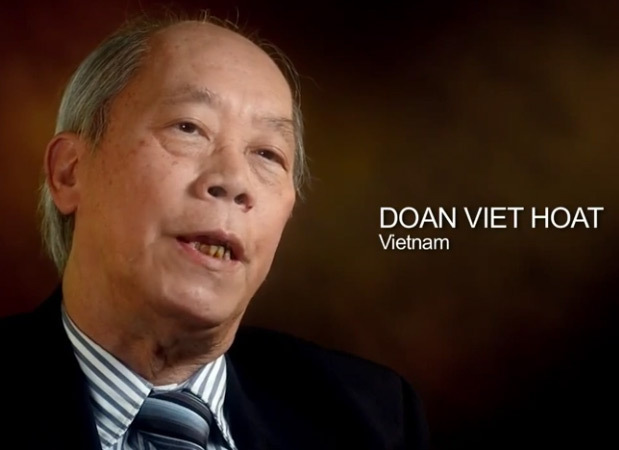 They endured inhuman conditions, including squalid cells, insufficient nutrition, torture and abuse from prison guards. 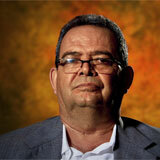 DR. JOSÉ LUIS GARCÍA PANEQUE: A week after being in prison we are informed that we will be in isolation for two years. REGIS IGLESIAS RAMIREZ: We had no access to phone calls, to televisions or radios. DR. JOSÉ LUIS GARCÍA PANEQUE: Nobody could talk to me. I could not communicate with anybody; I simply was there. ARIEL SIGLER AMAYA: Months and months go by without any communication. Sometimes with no electricity, no water, no bathroom. DR. JOSÉ LUIS GARCÍA PANEQUE: I was in a 3 square meter cell with poor ventilation and with water service for only 5 minutes once a day. REGIS IGLESIAS RAMIREZ: The cells were very foul smelling, full of insects and rodents. There were rats hanging from the ceiling, they came in and out of the cells, like it was their home. 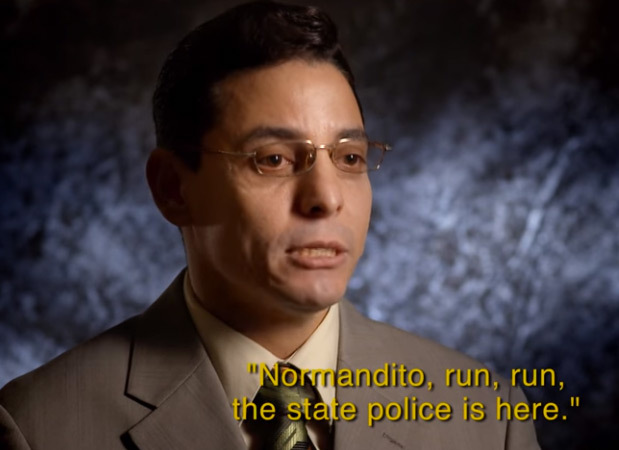 NORMANDO HERNÁNDEZ: It was so small that I could stretch my hands and touch the walls of my cell. The toilet was 10 inches away from the bed. The first night that I spent there I thought that I could withstand any type of torture but not the stench coming out of the hole. ARIEL SIGLER AMAYA: The objective is to destabilize you so one way or another you stop thinking the way you do, so they can break you down. The regime moved prisoners far from their homes to separate them from their families and increase their isolation. ALEJANDRINA GARCÍA DE LA RIVA: Each of these men were taken far from their homes, to other provinces. For example: I live in the interior of the province of Matanzas and my husband was taken to a prison in the province of Pinar del Rio, Cuba’s westernmost tip. DR. JOSÉ LUIS GARCÍA PANEQUE: They wanted not only to let us know that we would be punished for almost a quarter of a century of our lives; they wanted to be much crueler than that. They wanted to isolate us from the rest of society, from social interaction. The Black Spring provoked a chorus of international condemnation. PRESIDENT GEORGE W. BUSH October 10, 2003: Countries around the globe and the United Nations Human Rights Commission increasingly recognize the oppressive nature of the Castro regime, and have denounced its recent crackdowns. 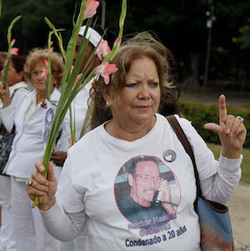 On the island, a group of women called the Ladies in White, the wives, mothers, daughters and sisters of those imprisoned, began marching in the streets, to draw attention to the fate of their loved ones. ALEJANDRINA GARCÍA DE LA RIVA: We began to wonder what can we do before such injustice. What do we do? It is too much injustice. Then we learned that the same was occurring in other provinces. We were getting to know each other. BERTA SOLER: We decided we would all go dressed in white because white clothing signifies peace, purity, love, and justice. BERTA SOLER: We began organizing more, walking in groups of two. We would go to the government entities, wrote letters, and asked that our loved ones be freed. LADIES IN WHITE: Long live human rights! BERTA SOLER: The Cuban government got us out of our homes to be able to advocate for the freedom of our loved ones. The same pain united us. It was the same pain. FIDEL SUÁREZ: They really have played a central role. 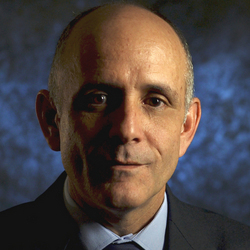 That role has been significant in helping the Cuban opposition become more recognized than ever before. NARRATOR: More than seven years after the Black Spring began, the mounting protests and pressure from groups like The Ladies In White forced the government to release the 75. 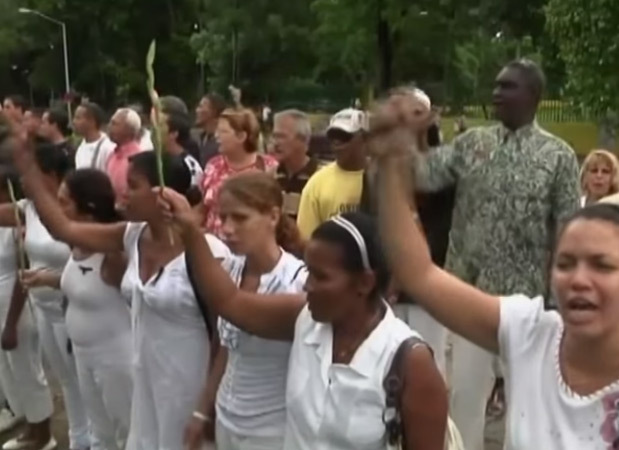 With the help of the Catholic Church and the government of Spain, many of the former prisoners left Cuba to live in exile. A few, like Dr. Óscar Elías Biscet, insisted on staying in Cuba to continue advocating for change. 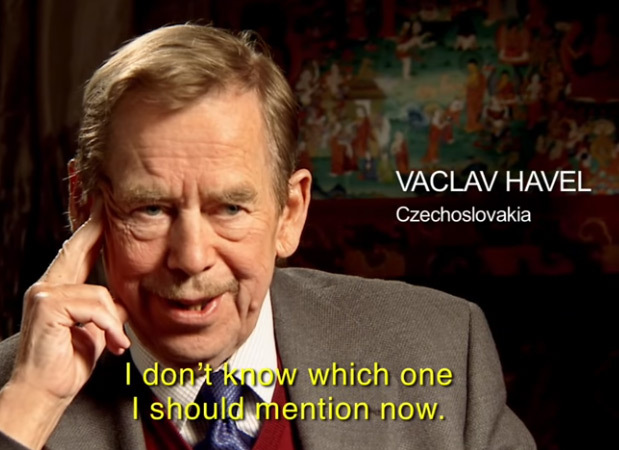 ÓSCAR BISCET ARCHIVAL: I made the decision not to leave the country until it is free. I want to live in Cuba, I am Cuban! ÓSCAR BISCET: Freedom of expression can only be exercised when there is freedom of the press, of speech, freedom to speak on television, freedom to give classes in private and public schools, and freedom of religion. 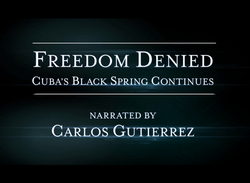 It does not exist in Cuba because there is no real freedom. BERTA SOLER: The government thought that by releasing the 75 men, that they would leave the country and that it would do away with the Ladies in White. That even though few remained in Cuba, they would disappear. It was wrong. We have gained strength and have grown more. NARRATOR: Since the release of the 75, the Cuban government has tried to persuade the world that real reforms are taking place. As evidence, it touts the January 2013 loosening of travel restrictions and the ability of a limited number of Cubans to own small businesses. On the island, most Cubans see past the propaganda. FIDEL SUÁREZ: The right to leave and enter the country is a right that they have stolen for nearly 45 years. It is a right that they withheld and now, like a crumb, they are offering it. The majority of the worlds’ countries, not to say all, enjoy that right. That is why it is not change. PABLO PACHECO: Raúl [Castro] is trying to keep himself in power as long as he can and then let someone else come in and fend for himself. I do not think those are the changes that Cuba needs right now. BERTA SOLER: The Cuban government’s changes are cosmetic and will not solve our problems. NARRATOR: According to Freedom House, an international watchdog group, Cuba remains one of the most repressive places in the world. Despite the regime’s brutality, hope survives. Increasingly, Cubans are putting fear aside and working for a better tomorrow. ÓSCAR BISCET: The people will choose what they want for the profound change we seek in society: a society in which democracy and liberty lead us to prosperity and peace. BERTA SOLER: Those of us who are aware of the peaceful movement for a new Cuba have faith, hope and optimism that one day, Cuba will be free. 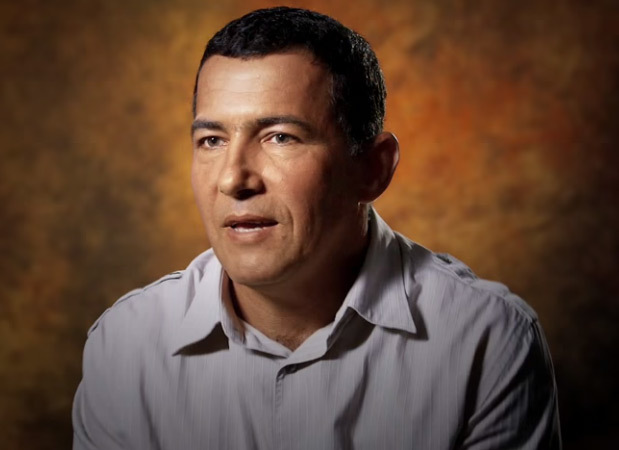 NORMANDO HERNÁNDEZ: There is a lesson that I learned while in the torture prison, which is that one should never lose hope. While the night is becoming darker, the day is approaching soon. We have to keep on fighting wherever we exist even if it’s in a hole in the ground. And it is our duty as citizens to combat evil. To never lose hope that good will always triumph.